The next day they are in class and Cory is explaining to the kids that they shouldn’t live under a label which is what the IQ test produces a number that puts them in a category a label. He tells them don’t live under a label because it gets in the way of who they are. Lucas says “But if you get called something enough, don’t you start believing it?” Cory tells him believe in what you contribute to others. He explains that everyone has potential to impact the world and to be themselves because that’s the only label that matters. The guidance counselor comes to the classroom and asks if she can see Farkle again. After school the kids, Farkle, and his parents are all at the Matthews house where it is revealed that the school thinks Farkle might have Aspergers. Lucas asks what that is and Farkle explains that its a disorder that effects behavior. They tell him that it doesn’t matter he is still Farkle no matter what anyone says. In the next scene the kids talking at the Bay Window about the symptoms of Asperger’s. They explain that the symptoms are social awkwardness, narrowed interests (going on about a subject when the people you are talking to don’t have a shared interest, and they explain how some people with Asperger’s aren’t comfortable being touched or receiving affection. They may struggle to fully understand emotion or love. Farkle said they’re his best friends and to promise him one thing, “please don’t let ever me not understand love”. We then get to see the parents talking and Jennifer is saying how nothing has ever been out of their control before. Topanga tells her they will get the results and no matter what the results are they will still be the same parents they were before. Cory tells Jennifer that she’s strong and nothing stands a chance against her. She said all her life nothing ever scared her but once she had a child that all changed. Topanga tells them no matter what the results are he is still Farkle and nothing will ever change that. The next day they are in Topanga’s bakery and Smackle shows up. She reveals that Farkle had spent the day at Einstein Academy and has a jacket from the Academy for him to wear. He and Smackle go outside and talk at the table. Farkle says its strange being in something that’s not like a spelling bee. They talk and Farkle tells her that he might have a form of autism which surprises Smackle. He tells her it might be Asperger’s and thanks her for liking him for whatever he is. The camera then pans to the Bakery window where Lucas, Maya, and Riley are spying them from the outside. The next day they are in school and there is a funny scene where Smackle thinks that Lucas is hitting on her. We then see the guidance counselor wants to talk to Farkle again. The scene then switches to the class room where Farkle asks Cory if he can do Farkle time. Cory lets him and Farkle reveals to everyone that it turns out he does not have Asperger’s and that he like that. He says “So what am I? I am Farkle. Thank you.” Cory tells the kids that the only label they should wear is their name and that they should let their actions define them because there is another spectrum. How they live their life, how what you do with whatever you are given, how you treat other people around you, that this is their reactions, that this is your name, and that’s who you are. 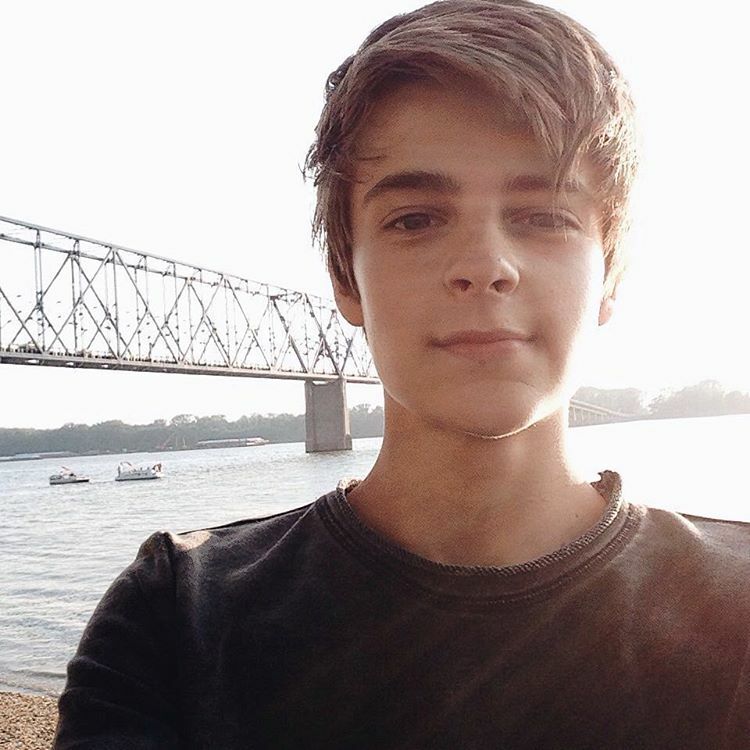 Farkle thanks his friends for how they treat him and for studying about Aspergers. Cory was surprised they studied and Lucas says his friend was worried about something and Maya says if she knew it was studying she wouldn’t have done it. Smackle tells Farkle that he is where she belongs and that she on the other hand should leave. The next scene there is a funny moment with the parents. Jennifer brings up how Cory used to be afraid of him. Minkus says that even if Farkle was diagnosed with something they wouldn’t have treated him differently. Jennifer thanks Minkus for marrying her and Minkus says “Well you asked me to”. We learned in the next scene that Smackle was diagnosed at 5 years old with Aspergers and that she struggles with it. Riley said that they don’t respect anyone more than Smackle. Smackle said she’s not like anyone else and Maya replied “But who wants that”? Smackle thought Farkle had Autism and was happy because she can relate to him and she wanted to be friends with him. At the end of the episode the kids tell Smackle she should come to their school because she’d have friends. I absolutely loved the moments with Farkle and Smackle outside Topanga’s bakery sitting on a table with the guitar music (I think this is from Boy Meets World), Smackle leaving the classroom. I really hope Smackle can be a semi-regular as she has great chemistry with the gang, Farkle hugging Smackle at the Bay Window, and the ending when Riley said “I have a question for everybody and I want you guys to answer as honestly as you can” and asked “Who here is normal?” No one raised their hands, then she asked “And who here wants to be?”. Smackle raised her hand, then she saw their arms were down so she puts hers down. Riley said “Good”. Lucas kept getting picked on by Smackle. That kept making me laugh. When Farkle was talking with the guidance counselor that it’s important not to react in anyway (about his score) to make their friends feel inferior of less value, like dum-dums. Farkle to Cory: “Who’s fault is that”? Cory doesn’t fear Jeniffer anymore as she’s less scary now. She has changed so much and that’s what usually happens when you grow up. When Riley said to Farkle “Who’s a good genius?”. The way she delivered that reminded me of Topanga saying to Cory “Who’s a good boy?” as Cory said it’s the 24/7 Topanga channel here (something along those lines). Jeniffer, Minkus, Cory and Topanga were referring the past. Minkus saying he was the original genius. How did you like Girl Meets I Am Farkle? Comment below and tell us what you thought about the episode!